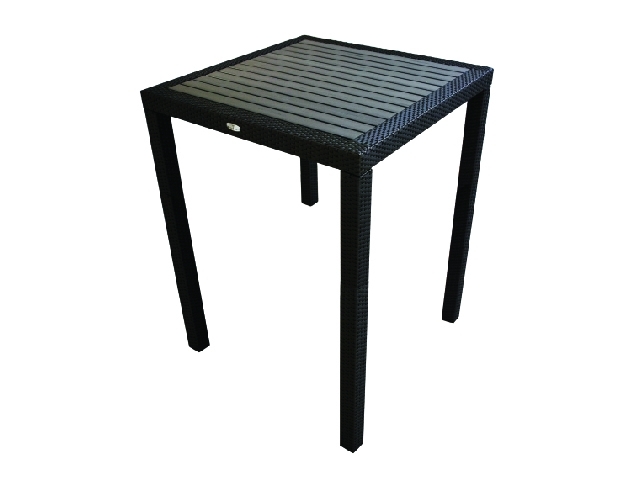 Aria Wicker Bar Table w/ Faux Wood Slats | ET&T Distributors, Inc. 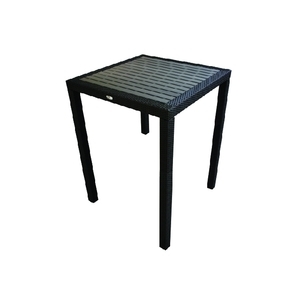 The Aria Wicker Bar Table is the perfect compliment to our Aria Wicker Bar stool. It features an all aluminum construction with a beautiful wicker weave over the entire frame. The top consists of a stylish gray faux wood top that is easy to maintain.